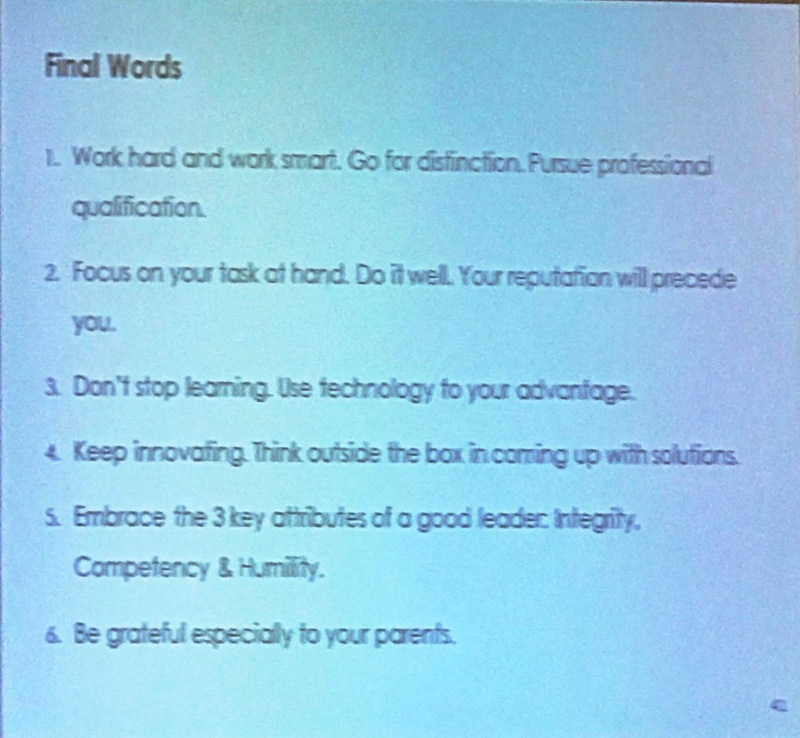 A couple of months back, I had attended a talk organised by Young Corporate Malaysians (YCM). 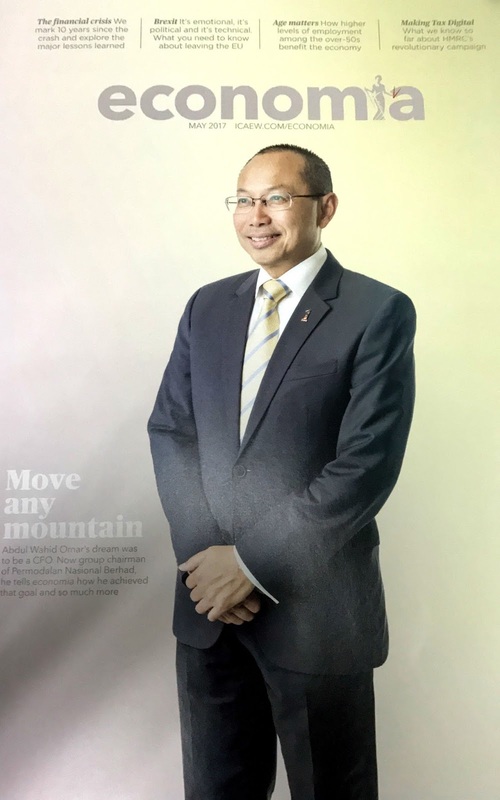 I was particularly fascinated about attending this particular talk, as it features Tan Sri Wahid Omar, who is an ICAEW Chartered Accountant. 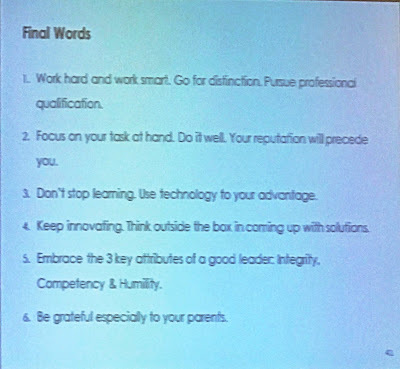 The #1 advice that Tan Sri Wahid Omar had shared during his final slide (pic related), was in the pursuit of professional qualifications. Hence, it occurred to me that I could share on the subject and available pathways towards the attainment of professional qualifications - and decided that I would. In particular, I'll be sharing on the route of attaining the Associate Chartered Accountant (ACA) of the Institute of Chartered Accountants in England & Wales (ICAEW). Firstly, let's get over why should we even consider professional qualifications? International recognition & prestige - professional qualifications are generally considered to be more recognised than degrees, due to the high standards upheld by the issuing bodies. An increasing number of people with degrees take up professional qualifications to remain competitive in today's job market. Job security & study leave - in obtaining a professional qualification, you are generally required to complete a certain number of years working with an employer. Should you be pursuing a qualification on a part-time basis, most employer's are more than happy to provide you with sufficient study leave. Employers are generally happy to have employees who take personal initiative to improve themselves. Relatively lower cost - if you were to enrol in an internationally recognised university, the costs of enrollment is considerably higher (assuming no scholarship is available) as opposed to a professional qualification. Also, there may be sponsorship opportunities available in return for years of service with generous and willing employers. Examinations: This is probably the most difficult part in making the cut to be an ICAEW member. You are required to pass 15 examination papers, which comprises of various subjects which will build on each other as you move from the Certificate level to the Professional level and finally when you face the pinnacle Advanced level papers. The examination papers can be taken 4 times a year (March, June, September, December). To make things difficult, you also have a maximum number of attempts of which you are allowed to re-sit these papers (I believe it is 4 attempts per examination paper). Structured Training in Ethics: As professionals, ethics is a key component which we are required to uphold in our lines of work. ICAEW places a heavy emphasis on ethics training. This is done via ethics sections being incorporated in examination papers as above, and also online ethics training - which you will be then expected to present to your Qualified Person Responsible for Training. The 5 fundamental principals of ICAEW's code of ethics are integrity, objectivity, professional competence and due care, confidentiality, and professional behaviour. Initial Professional Development: As an ICAEW Chartered Accountant, you are also required to take initiative to upskill yourself to ensure that you obtain sufficient exposure to develop skills which are expected as a full-fledged ACA. There are 3 levels of professional development areas which you are required to fully document and discuss with your Qualified Person Responsible for Training, minimally on a 6-month interval (a shorter interval may be ideal - depending on time available). Your employer may then assign relevant work to ensure your professional development is sufficient and up to the standard required by the ICAEW. Evidence of Technical Work Experience: You will also be required to meet a minimum number of qualified working days, and be able to provide full documentation (time sheets or any other relevant document) to substantiate your claim. Following meeting all 4 criteria's required as mentioned above, you may then submit your application for membership which has been signed off by both your Qualified Person Responsible for Training and yourself - at the end of your training contract. School leaver route - Under this route, you will need to study and pass the papers required on a certificate level known as ICAEW Certificate in Finance, Accounting and Business (ICAEW CFAB). It will take a minimum of 1 year to complete the certificate level before you can move on to the professional level qualification. Degree route - There are many private and foreign universities all over the world. You may choose any degree program depending on cost, prestige and how the program is structured. If you intend to pursue a professional qualification after your degree, then I strongly recommend you look at available Credits For Prior Learning, to ascertain that your university, degree, and subjects taken will grant you exemptions from some of the examination papers needed to obtain your professional qualification. One of the most challenging areas in pursuit of the ICAEW ACA program is that you are required to secure an ICAEW training contract with an ICAEW approved employer. The training contract will be for a minimum period of 3 years (or longer - 6 years in my case), of which you are required to serve the said employer. Voila - you'll get your membership acknowledgement via email and after a couple of weeks, receive your hard earned Certificate of Membership - approved by the Members of Council and CEO of ICAEW. Consider checking out other accounting bodies such as ACCA or CIMA or CPA (feel free to Google "professional accounting qualification"). If you're keen on considering a career in finance, you could consider the Chartered Financial Analyst ("CFA") professional qualification. I wish you all the best in your pursuit of professional qualifications! 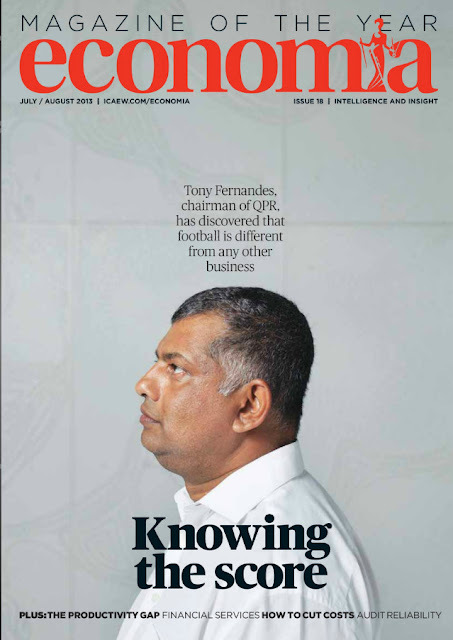 Just to share, I personally was inspired to take up Chartered Accountancy due to Tan Sri Tony Fernandes, where he was present at an event during my high school years - which I vividly remember. Finally, I'd like to put on record that Dato' NK Jasani and his staff at Grant Thornton, are the people who made my dream a reality. Thank you Amma for always being there for me! This article has been featured on ProspectsASEAN.com with permission.